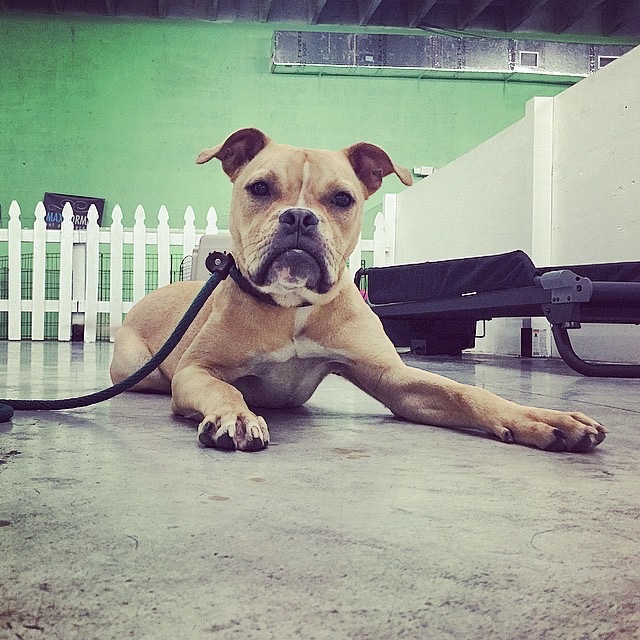 Remy’s mom is a purebred English Bulldog! What else in in there? Whatever it is it’s pure sweet-ness! Remy graduated from our train to adopt program with flying colors and has been patiently waiting for a forever home. 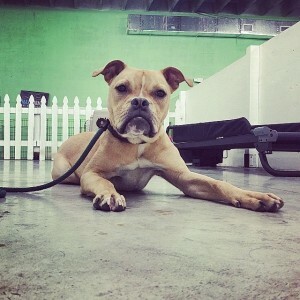 Remy is available through Buddies through Bullies Rescue.